John C. Tyler and Thomas E. Leavey had a vision in mind when they founded Farmers Insurance in 1928. These men wanted to provide auto insurance to farmers and ranchers. The company began its insurance operations paying cash for claims presented which was unusual in those days for an insurance company. Keep in mind this was one year before the stock market crashed and before the biggest economic depression in U.S. history. Farmers Insurance Group is a subsidiary of Zurich Financial Services and is the third largest personal lines insurer in the United States. The Farmers Insurance Group includes the companies of Foremost Insurance Group, The Bristol West Insurance Group, The 21st Century Insurance Group, Farmers New World Life Insurance Company and Farmers Financial Solutions, LLC. Farmers Auto Insurance is available in all 50 states through a network of over 50,000 independent agents. The company writes more than 20 million insurance policies which are serviced through its local offices and through its website by nearly 24,000 employees. Other distinctions included the 2014 People’s Choice Awards 3rd best ranking of homeowners and auto insurance companies given by Insure.com. Farmers Insurance Group has a Better Business Bureau rating of "A+" with a composite score of 4 out of 5 stars. With Farmers Auto Insurance, you can customize coverage options to fit your individual needs. 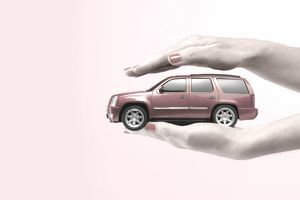 Basic auto coverage options are available including liability, comprehensive, collision, med pay and uninsured/underinsured motorist coverage as well as PIP protection. If you need a little more protection than the basic auto insurance options provide there are several optional coverage choices available. This is not a complete list of optional coverage choices but some of the most common ones. All options are not available in every state. Accident Forgiveness: The Farmers auto policy forgives one accident for every three accident-free years of coverage. Small Claim Forgiveness: Regardless of fault, your premium does not increase because of any fender benders or other small claims accidents. Incident Forgiveness: Farmers does not increase your rates because you get a speeding ticket as long as there are no claims involved. No Fault, No Foul: Your policy premium does not increase if you were involved in a not-at-fault accident. Farmers Rideshare: Provides personal auto coverage until the full commercial liability coverage provided through your rideshare company begins. Farmers Insurance Group has a long and reputable history as one of the top property & casualty insurers in the nation. With excellent financial strength ratings, a user-friendly website, strong claims handling services and excellent customer service ratings; there is much to like about Farmers Insurance Group. To find out more about its auto insurance policy options, discounts or to check on other available insurance products, you can visit the Farmers Insurance Group Website or call 1-888-327-6335. Online quotes are also available and you can locate a local agent in your area if you prefer to speak to an agent in person before purchasing a policy.